After that 13 hour drive the day before, we sure needed some rest, and got some as well. This was the day we have been looking for, the hodographs showed perfect winds and most parameters were pointing towards a great chase day. SPC had a 5% tornado risk and it seemed liked there would not be too many storms to choose from. We positioned in Rugby, ND, and had our first bit of chaser convergence. If you may call some 5-6 vehicles a convergence. I bumped into Peter Wharton of StormGroup Chasers at Subway, which was fun! At this point I think I have met every tour company at some point, out on the plains. The storms took their sweet time to fire and we were waiting at a storm to ride the warm front. At 5 p.m. two cells had popped up and we chose to go for the southern storm (McClusky/Goodrich) even though the northern storm showed signs of riding the boundary layer. 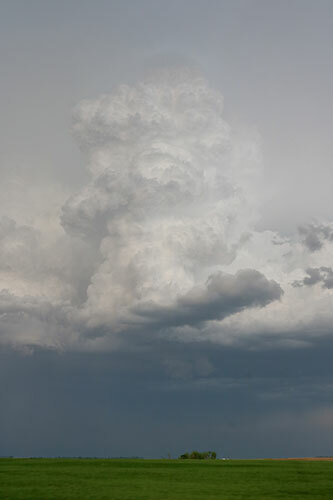 When we arrived under it, we had great rotation, lots of lightning and even saw a small funnel. The only problem was that it was constantly re-cycling and it had a really high base. The moisture wasn’t really there to take that last step towards a tornado. If it would, it would have been a beautiful one with such a high base and the beautiful surroundings! We saw multiple small funnel clouds but it was not until we were driving passed the mesocyclone something happened. I was looking outside my window and saw what I thought was just some downburst dust. We passed a small hill and then I realized we were driving passed a small lake and there was rotation on the lake. 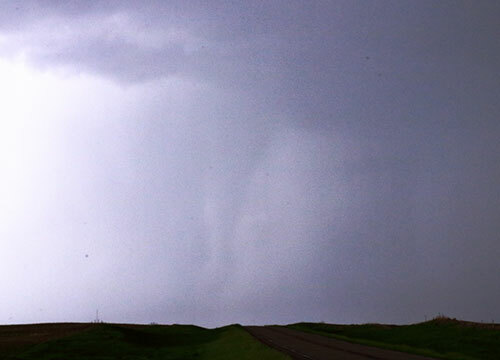 Technically, a tornado (it was under the meso) but the funnel never condensed into something to write home about. Not much later David and Alex observed dust being kicked up and yet again, there was another tornado. Just as “impressive”. To be honest, I wouldn’t have known they were actually tornadoes but rather guessed they were dust devils but the circulation was under the meso. 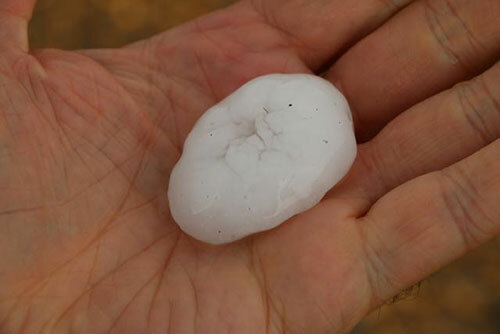 The other one had a tiny, tiny condensation funnel, only visible on a photo David took. The storm did however produce some great structure at times and we got treated with some really nice views and corkscrew updrafts. 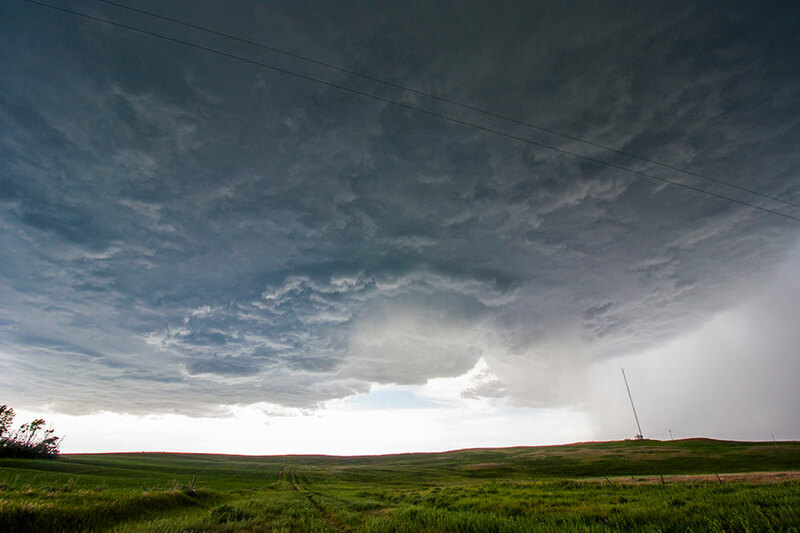 All in all, the chase day was a slight disappointment despite two tornadoes and a supercell as the LCL was too high, moisture too low which left both our storm, and the one to the north, one step away from creating a really great day. Still, it was a good chase! 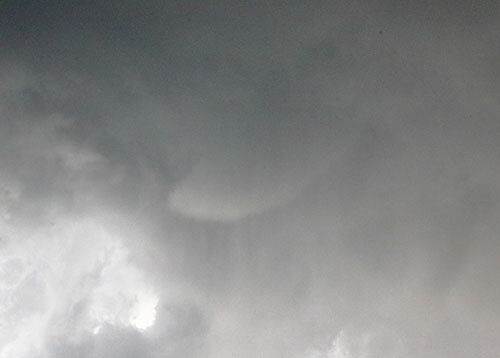 A funnel cloud, early on. A “shaftnado” that looked really convincing. This was just rain shafts though. 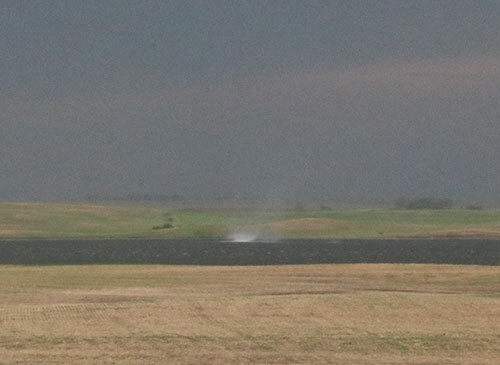 This was our first tornado (water spout) on a lake (!) out in the plains. It had no visible funnel and lasted about 20 seconds. 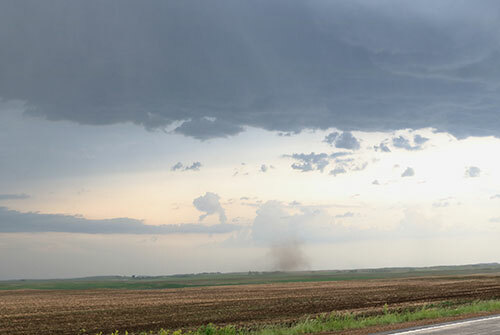 A very brief tornado swirling up some dust. 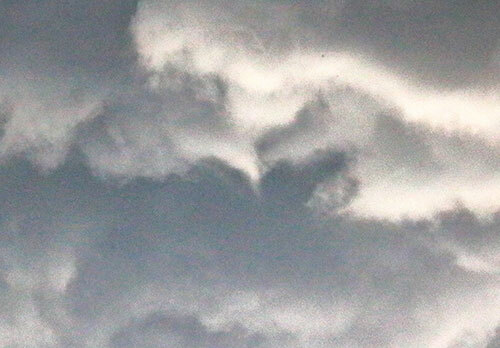 It is virtually impossible to see the funnel in this photo but you can see a darkening above it. I saw no funnel as it happened. Great pics even though no real storms! Thumbs up. 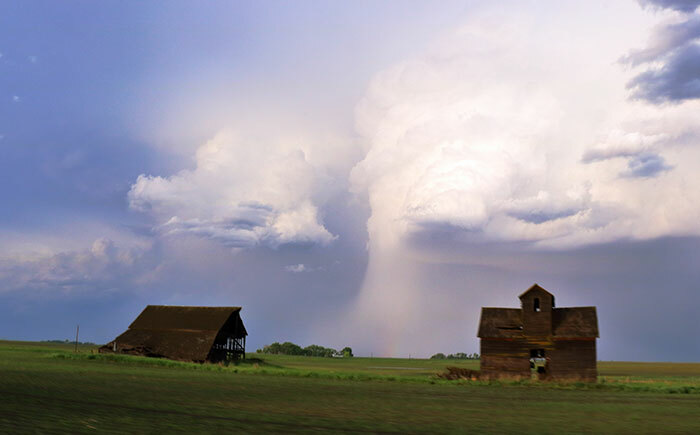 Almost 🙂 A shaftnado is just rain shafts that sometimes look like a tornado, and are often reported as a tornado.